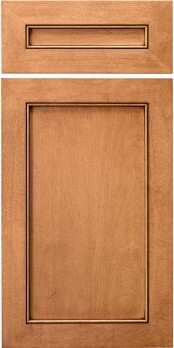 The same door as our CRP-10751, only with a flat 1/4″ veneered center panel. This is a simple and understated design that looks great in any home. It is also available in mortise and tenon construction.